GlobeSt.com speaks with RETS Associates’ John Colelli, who just joined the firm as director of talent acquisitions focusing on the residential market, about this sector’s approach to job search and acquiring talent. NEWPORT BEACH, CA—Candidates for jobs in residential real estate are relying on not only social-media sites like LinkedIn and Facebook, but also inside sources to give them the real deal on what it’s like to work for these companies, RETS Associates’ John Colelli tells GlobeSt.com. 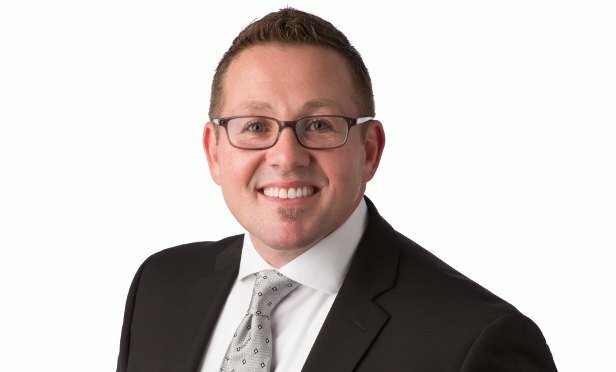 Colelli—who served as an executive recruiter for a regional executive search firm, where he focused on the homebuilding industry, and previously held production roles for mortgage firms on the East and West Coast—recently joined RETS as director of talentacquisitions focusing on the residential market. In his current position with the real estate recruiting firm, Colelli will match and position mid- and senior-level management to division presidents covering residential real estatedevelopment. We spoke with him and principal Kent Elliott about this sector’s approach to job search and acquiring talent. GlobeSt.com: What are your goals in your new role with RETS? Colelli: To expand our footprint. I solely focus on the homebuilding and land development access. It’s a great expansion for our company, which has focused on the commercial side. Elliott: This is year 17 for at RETS, and we have traditionally focused on commercial, but we brought John on board as a natural evolution of our platform to search in various real estate disciplines. GlobeSt.com: How are real estate companies approaching talent acquisition now? Colelli: I don’t think it’s changing, for the most part. Specifically on the residential real estate side, talent is scarce. There’s a shortage of talent, so in order to attract the best talent, I have relationships with clients and candidates. GlobeSt.com: How are residential real estate company candidates changing their approach to job searching? Colelli: The homebuilding industry took a major hit and lost a lot of talent during the recession. These are workers that should be mid-senior-level talent now, but there’s a large gap because of the economic downturn. As a result, candidates are not making rash decisions these days. They’re doing research on where they’re going, and they’re beginning to understand why long-term is where it’s at. In residential real estate, social media like LinkedIn and Facebook plays a huge part, but candidates are also more or less relying on a source like myself to give them real inside knowledge on who they would be working with, the financials of the company, etc. They’re doing their due diligence, and they rely on someone like me to steer them in the right direction. Elliott: You can’t broad brush it; it’s more generational. Whereas the Millennials will be more apt to change jobs more frequently, other generations don’t change as frequently. But Millennials also want to change for the right opportunity. They generally change jobs for a few reasons: 1. a step up in responsibility, 2. a better commute, 3. compensation and 4. the cultural aspect of the company. But when you bring it down to Millennials or Gen X/Y, compensation is always at the top of the list. GlobeSt.com: What else should our readers know about talent acquisition in homebuilding? Elliott: Let me brag about John. He’s been with us for two weeks, and on his ninth day he closed his first search. The pace with which we operate and at which the industry requires talent is extremely fast—that’s the pace at which the industry expects talent. As we embark on this path, I’m really excited about RETS’ establishment of a residential real estate practice. After 17 years, it’s exciting to be dealing with a completely different group of clients/employers. Colelli: Being able to close a search with a completely new client means really understanding exactly what they want. I asked that company more than 100 questions: what they wanted culture and fit-wise, and asked the candidate all the right questions. That’s how I was able to fill the search in such a short time. It was a good fit for both sides. The same goes for the candidate perspective. We’re viewing this as an expansion of our platform, but also a rejuvenation of our platform as we look into 2018 and beyond to recruit in this space.